Vinyl wall decor is a very hot trend in the home decor market today! 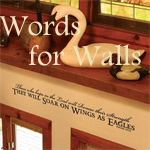 We offer some cherished scripture verses and inspirational phrases that you can place on a wall, or a window, over a beautiful piece of art, or on just about any smooth surface. 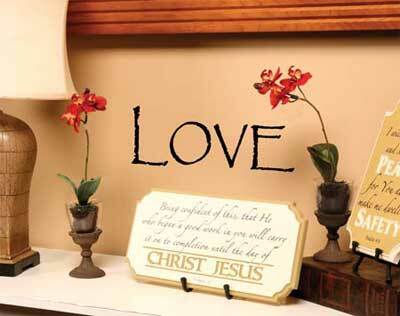 Give it a try... a very economical approach to getting scripture into the home!